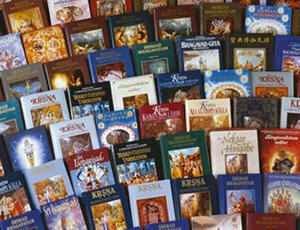 Krsnacandra Dasa – Vrindavan: “Books are the basis” is a very important principal to follow in our lives. His Divine Grace A.C. Bhaktivedanta Swami Srila Prabhupada stressed this time and time again for a specific reason. He knew that what was contained in his books would liberate all the fallen conditioned souls of this Kali yuga if only they could get hold of them. It was a matter of distribution. By distributing Srila Prabhupada’s books we would also be able to provide an ethical income from which to use in Krsna’s service. 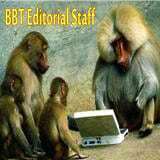 So it also made sound business sense to print and distribute as many of Srila Prabhupada’s books as possible. Srila Prabhupada’s books are not only the basis of our economy, they are also the basis of our spiritual lives. By reading his words we also become increasingly Krsna Conscious. So there is a double benefit from this wonderful and meaningful gift from His Divine Grace A.C. Bhaktivedanta Swami Srila Prabhupada. 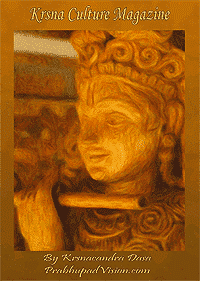 Srila Prabhupada wanted that we emphasize the printing and distribution of his books as one of our prime directives. 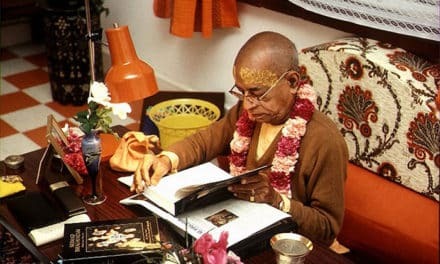 Over the years, the ISKCON leadership has deemphasized the distribution of Srila Prabhupada’s books and has begun to systematically edit and change them against the advice and protestation of a great many devotees of the devotional community. Book distribution, while ecstatic, is also hard in some ways. With the leadership more interested in other matters coupled with a sense of disheartenment from the unauthorized changes to Srila Prabhupada’s books, many devotees have lost the impetus to distribute books. 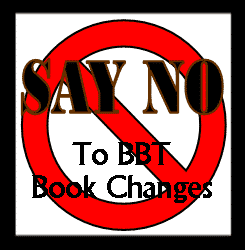 Without the support of the leadership, book distribution has reached an all time low. Many devotees are beginning to request to distribute Srila Prabhupada’s unedited books as they are beginning to realize that the potency resides in His Divine Grace A.C. Bhaktivedanta Swami Srila Prabhupada’s unchanged books. They are beginning to see the value in the “AS IT IS” principle. They are also beginning to realize that they don’t need the blessings of a corrupted leadership, all they need are Srila Prabhupada’s. 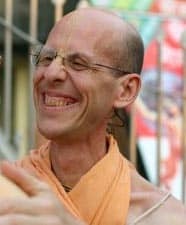 Here at PrabhupadaVision.com we strongly encourage devotees to begin to distribute Srila Prabhupada’s unchanged books. The more that these books are in demand, the more that the ISKCON leadership will be forced to comply. The more that we encourage each other to distribute Srila Prabhupada’s books, the more we will please Srila Prabhupada and simultaneously reestablish the sound and ethical economic base for our devotional lives that Srila Prabhupada knows is fully capable of effectively funding our Society.